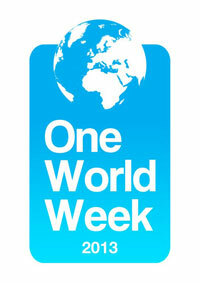 One World Week, the world's largest student run international event, returns to Warwick between 26 January and 2 February 2013. During the week the campus comes alive with a series of debates and discussions, parades and performances, a host of sporting tournaments and events and cultural exhibitions and workshops. The Forum attracts high-profile speakers from all over the world, who take part in fascinating panel debates on global issues. Topics this year include the European Union, social integration, and the power of the internet. All talks will take place between Monday 28 Jan - Friday 1 Feb from 6 -8pm in ACCR in the Arts Centre, except for Thursday’s talk, which will be held in H0:52 lecture theatre. Days provide a platform for societies to showcase their activities, from Monday 28 January to Friday 2 February. Each day will represent a different region – Asia & Australasia, UK & Ireland, Americas & Caribbean, Middle East & Africa and Europe – encompassing the cultural traditions, dances, food, colours and overall experience of their region. Numerous sports tournaments will be taking place across campus, including the One World Cup, Cricket 6s. This year will also see the first One World Week charity run, and the Varsity Ice Hockey clash between Warwick and Coventry University take place. Nights celebrate the diversity of our student population, through music, dance and fashion. Highlights include a fashion show featuring over 200 students, a world music concert, taking you on a musical journey across the globe, and a carnival on campus. The week concludes on 2 February with the One World Conference, a platform for students from all over the world to come together and discuss topics related to making the optimum use of their time at university and what their future after university will be like. The theme this year is 'Bridging the Gap to the Future' and sessions will look at global employability, integration into different countries and what universities should be like in 2030. One World Week is in its 18th year, and is a non-profit initiative which aims to stimulate personal development, inspire a view based on acceptance and appreciation of global cultures, and encourage awareness of and positive action on issues which affect our world.